← Can the Pastor Expel Another Priest from the Rectory? Q: Before my father passed away, he gave me a relic of the Holy Cross surrounded by gems, that he received many years ago from a religious sister, who obtained it from a cardinal. It has the original seal on the back, and I also have the 1966 document in Latin from the Vicar General of His Holiness the Pope about its authenticity. Distinguished relics, and others which are held in great veneration by the people, may not validly be alienated or transferred in any way on a permanent basis, without the permission of the Apostolic See. As we saw in “Can the Pastor Buy and Sell Parish Property Without Our Consent?” the term alienation is canonical lingo referring to the sale or donation of property from the current owner to another. And as John points out, he knows that the reliquary which he now owns has over the years been handed on—or alienated—from one person to another to another. Since the Holy Cross is certainly a “distinguished relic,” and/or one that is “held in great veneration by the people,” he is logically concerned that without knowing it, he was given this relic illegally. And since he would now like to give it as a gift to his nephew, John is worried that this would be illegal too. But is it? Let’s first define what we mean by the term relic. From the earliest days of the Church, Christians instinctively venerated the bodies of those who had willingly died rather than renounce their faith. During the Christian persecutions which took place during the reigns of various (not all!) 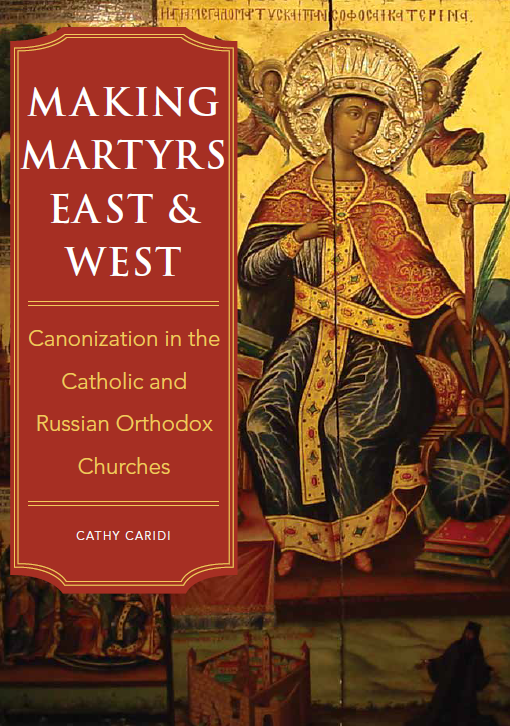 Roman Emperors, the bodies—or in many cases, mangled body parts that had been ripped apart by animals, burned by fire, etc.—of such martyrs were carefully gathered and buried by other Christians. This veneration of the corporal remains of saints continues to this day. slivers of which have been distributed all over the world ever since the Christian Emperor Constantine the Great first obtained it in the fourth century.) The term second-class relic refers to the clothing of a saint, or other personal effects like a pair of glasses or a rosary. Third-class relics also exist; these are ordinarily pieces of cloth which were touched to either a first- or a second-class relic. The Catholic Church long ago found out the hard way that it’s necessary to maintain a firm grip on its relics. That’s because in the 9th century, a devious Roman deacon named Deusdona began selling “relics” to Emperor Charlemagne, who wanted to place them in new churches which he was building in those areas of his realm that had recently been converted to Christianity. In actual fact, Deusdona was digging up random bodies in Roman cemeteries and falsely identifying them as specific saints—meaning that an unknown number of first-class relics scattered throughout Europe today are not authentic. People began to catch on when other, equally devious relic-sellers were found to be selling different bodies, claiming they were the very same saints who had already been sold by Deusdona! The Church learned its lesson—and thanks to Deusdona and others like him, ever since that time we have had a law that today is found in canon 1190.1: it is absolutely forbidden to sell relics. The Latin wording of this canon is very strong, as it uses the phrase nefas est. This is hard to translate literally into English, but it basically means that such an action is absolutely, positively unthinkable. We’ve run into this phrase before, with regard to priests repeating the content of somebody’s confession (see Can a Priest Ever Reveal What is Said in Confession? for more on this); priests consecrating either bread or wine outside of the Mass (discussed in Canon Law and Consecrating the Eucharist); and a bishop forcibly ordaining a man a cleric (What Do You Do With the Deacon Who Refuses to be Ordained a Priest?). Like these actions, accepting money in exchange for a relic is never, ever to be done. Remember this when you see relics for sale on the internet! To be fair, sometimes a reasonable claim can be made that you’re being asked to pay not for the relic itself, but for the reliquary that contains it—which is frequently made of gold and precious stones. But in far too many cases, such an argument simply doesn’t hold water. But while relics may not be sold, the Church has been giving relics—free of charge—to dioceses, parish churches, religious institutes, and even private individuals for centuries. Ideally they are sealed in some sort of case, with a wax seal to indicate their authenticity, just as John describes his relic of the Cross. There’s one reason in particular why the Church frequently gives out relics: most Catholics probably don’t realize that in every consecrated altar, in every Catholic church around the world, there should be at least one first-class relic, as per canon 1237.2. (If you’re curious, you might ask the priest at your own parish what sort of relic(s) is/are inside the main altar of the church.) The practice of celebrating the Mass over the relics of saints apparently goes all the way back to the early centuries of the Church, when priests took to celebrating Mass on top of the tombs of the martyrs. Not surprisingly, nowadays there is an office in the Vatican which takes care of relics. After all, if a bishop wants to build a brand-new parish church in honor of (let’s say) Saint Matthew the Evangelist, there will be at least one permanent altar in that church—and the bishop will have to obtain one or more relics to put inside it when he consecrates it. He will therefore write to request a relic(s) from the Sacrario Apostolico; and since the new church will be named in honor of Saint Matthew, the bishop will most likely ask the Vatican for a relic of Saint Matthew if that’s possible. The relics provided by the Vatican are sealed in a small case—that can’t easily be opened by someone who wants to steal the relic and replace it with a fake—accompanied by documentation attesting to their authenticity. You can see that the Church has come a long way since the 800’s, when Deacon Deusdona handed over the random bones of strangers as “saints’ relics,” in exchange for money. In 1994, the Vatican issued new norms for the concession of relics. They are in Italian (published in Notitiae 30/1994, 349-350) and are not on the internet. According to these norms, the Vatican does not give first- or second-class relics to private individuals, unlike in centuries past. These relics can be requested only for public veneration in a church, oratory or chapel. Let’s say, for example, that a parish wanted to start some sort of children’s group dedicated to Saint Agnes—who was martyred at the age of only 11 or 12, and would thus be an appropriate patroness for young Catholic children. 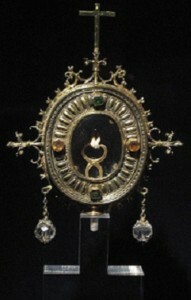 The parish priest could submit a request, showing that the diocesan bishop is on-board with the proposal, and explaining that the relic would be kept in (say) a glass case in a side chapel of the church, visible to all. If a first-class relic of Saint Agnes is available, the Vatican will presumably give it to the parish. It will not be the property of the pastor, or the head of the children’s group, or of the children themselves—it will belong to the parish church. And it is this sort of church property that is being referenced in the canon which confused John: canon 1190.2, quoted above, pertains to relics that are housed in churches, monasteries, shrines, etc., where they are venerated by the Christian faithful. If entities like these have got a reliquary with the bone of a saint or a piece of the Cross, their administrators—the parish priest, the abbot of the monastery, or even the diocesan bishop himself—cannot decide on their own authority to remove that reliquary and give it to somebody else. This is the sort of unauthorized alienation of relics that is not permitted by canon law. So how does John’s reliquary fit into all this? Unlike so many owners of small reliquaries, he can actually trace its ownership back for quite a few years. Note that there is absolutely no suggestion that anybody wrongly sold the reliquary, as John notes that a cardinal gave it to a religious sister, who gave it to his father. So how did the cardinal get it? Is there something fishy going on here? Not at all. While the current law states that the Vatican will not give first-class relics—and they specifically mention relics of the Cross in this category—to private persons, the undeniable fact is that for centuries, private persons were frequently given all sorts of relics by church authorities, whose actions were altogether legal at the time. 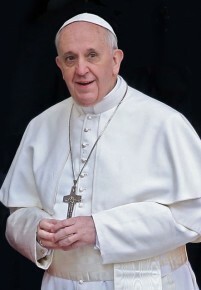 Note that there are also plenty of relics that were never in the possession of church authorities to begin with: to cite a recent example, Pope John Paul II used frequently to give his white zucchetto (the hat all Popes wear) to individual members of the faithful as a gift. Now that he has been canonized a saint, all those zucchetti have become second-class relics… and they are private property. While the Sacrario Apostolico would never give one of Saint John Paul II’s zucchetti to a private person, many private persons nonetheless own them lawfully, having obtained them through other, entirely legitimate means. By now it should be clear why there’s absolutely nothing wrong with the fact that John personally owns a relic of the Cross—even though it’s legally impossible for anyone today to obtain one personally from Rome. If he wants to give it as a gift to his nephew, he is totally free to do so. This entry was posted in Other Canonical Questions and tagged canon law, Catholic, relic, reliquary, saint. Bookmark the permalink.